She was the daughter of Colin McGregor Ure, then a master drainpipe maker and later a civil engineer, and his wife, history teacher Edith Hannah Eileen Mary Swinburne. Colin’s father was one of John Ure’s sons, flour miller William Primrose Ure, who lived at Balvaird, which was then at 11 Abercromby Street East, until his death on December 4 1939. When Colin married coal exporter’s daughter Edith on July 2 1925 at Glasgow’s St Mary’s Cathedral, he left Balvaird and they settled in her home at 17 Kelvinside Terrace South. Edith was still living there when she died of cancer on June 8 1945. At this time her husband was serving as a Major in the Royal Engineers. 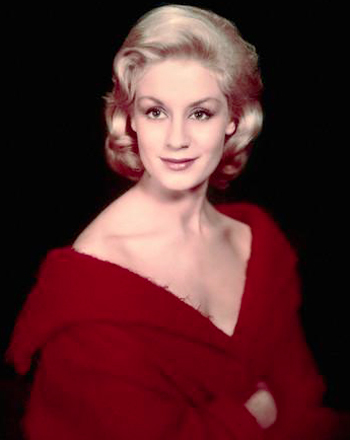 Mary Eileen Ure was born in Glasgow on February 18 1933, and was educated at the city’s Laurel Bank School. She then went to the independent Mount School in York, and early in her school career showed an aptitude for the theatre. During the Festival of Britain in 1951 there was a nationwide search for an actress to appear as Mary in the York Mystery Plays. Mary’s headmistress urged her to try her luck and she was chosen for the part at the age of sixteen. E.Martin Browne, the producer, was so impressed by her talent that he advised her to study in London at the Central School of Speech and Drama, where she enrolled for a teaching course. There, during her first year, she appeared in a different play every three weeks and at the end of the year decided that acting rather than teaching was to be her life's work. She won a scholarship on graduation offered by the BBC, but did not accept it as a West End management also offered her a year's contract, and she preferred to try her luck in the live theatre. 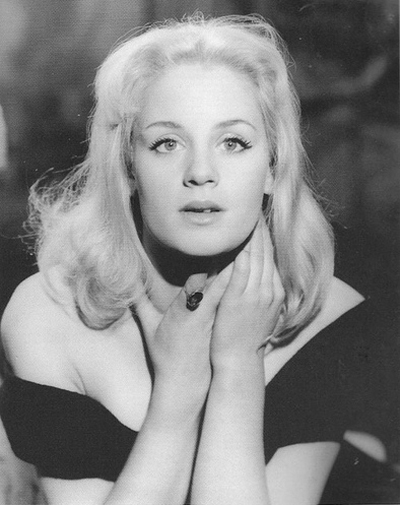 Vibrant, blonde and attractive, she began performing on the London stage and quickly developed a reputation for her abilities as a dramatic actress. Manchester, and she made her London debut as Amanda in the Jean Anouilh play Time Remembered at the Lyric Theatre and was acclaimed by the critics. It ran eighteen months in the West End. In 1955 her father remarried, and soon after moved from Glasgow to the Kilcreggan mansion Rockingham where Mary was a regular guest. He died there in 1963, and later Mary’s stepmother moved to 28 Dalmore Crescent in Helensburgh. While playing a leading role as Alison Porter in John Osborne's 1956 play Look Back in Anger, Mary began a relationship with the married playwright, and after he obtained a divorce they married in 1957. In 1958, she was in the Broadway production of Look Back in Anger and earned a Tony Award nomination for Best Dramatic Actress. The following year she starred with Richard Burton and Claire Bloom in the film version, and according to Burton’s biography they had an affair. She also had a season with the Royal Shakespeare Company at Stratford-upon-Avon Avon, starring as Desdemona in Othello with Paul Robeson, Albert Finney, Diana Rigg and Vanessa Redgrave. By this point, her marriage to the womanising Osborne was already falling apart. The playwright could be cold and detached, and he did not hold his wife in particularly high esteem, as he wrote in the second volume of his memoirs. She began an affair that year with actor Robert Shaw while they co-starred in The Changeling at London's Royal Court Theatre. She became pregnant, and gave birth to a son, naming him Colin Murray Osborne despite his physical resemblance to Shaw. In 1960 she appeared in the film Sons and Lovers as Clara Dawes, and was nominated for both the Golden Globe Award and the Academy Award for Best Supporting Actress. She was the second Scottish actress to receive an Oscar nomination, the first being Deborah Kerr who spent her early years in Helensburgh. She married Robert Shaw on April 13 1963 and he legally adopted Colin, who then became Colin Murray Shaw. Later, the couple had three more children. That year, after an absence of three years, she returned to cinema screens with a good performance in The Mind Benders with Dirk Bogarde, a sci-fi drama. Then it was The Luck of Ginger Coffey in 1964 and the flawed Custer of the West in 1967, both with her husband. Neither of these productions made a significant impact, though she performed admirably. In 1968, she made her only big-budget blockbuster, Where Eagles Dare, with Richard Burton and Clint Eastwood. It was a huge success but it was five years before Mary's next, and last, film appearance in A Reflection of Fear, starring her husband. She did continue to perform on stage, but — despite professional success and enjoying motherhood — her personal life was in turmoil as Shaw’s ego could not stand having a successful wife. Her growing alcoholism affected her career to the point that she was fired from the 1974 pre-Broadway production of Love for Love and was replaced by her understudy, Glenn Close. Her mental health also deteriorated and she suffered depression as Shaw had an affair with his secretary. On April 2 1975 she appeared on the London stage at the Comedy Theatre with Honor Blackman and Brian Blessed in The Exorcism. It was a disastrous opening night, and next morning she was found dead of an overdose of alcohol and barbiturates by her husband in their Curzon Street, London, home. It is not known if it was suicide or accidental. She was just 42. Mary was buried at London Road Cemetery in Coventry, although it is not known why this cemetery was chosen.